Former 1980s Panther Teryl Austin was hired as the Defensive Coordinator of the Florida Gators. He's coached in a variety of positions in college and the NFL with the Cardinals and Seahawks. ESPN.com blogger Brian Bennett talks expansion - not just Big Ten, but the idea of Big East expansion comes up. Looks like Dorin Dickerson and Nate Byham are the only two Pitt players headed to the combine. South Florida leads the way with six combine reps.
Conspicuously absent is Aaron Berry, Pitt's First-Team Big East CB. This projection has him as a possible 5th-6th rounder at best. And here's another one that projects him as a 7th rounder. Okay, one more - this one projects him as a Free Agent pickup. Meanwhile, another former Pitt corner, Darrelle Revis, came home recently. 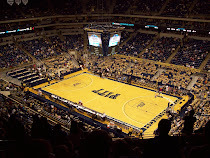 Looking ahead to next year, Mark Schlabach has Pitt at I think the highest I've seen in any of the preseason polls - #14. Cincinnati checks in at #13. 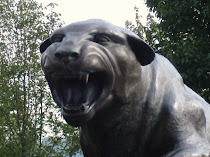 Pitt has some lofty expectations to live up to, despite not knowing who will play QB - Pat Bostick or Tino Sunseri. Speaking of Sunseri, his younger brother Vinnie, has his first scholarship offer (subscription needed). And Bill Hillgrove, voice of the Panthers, is lending his expertise to, and I'm not making this up, a camp for aspiring announcers.